When the subject of where to eat in Las Vegas arises, it usually begins with the subject of buffets. That might seem strange to visitors from world-class cities, but to understand this unique city, you first must understand the goals of casino operators. Casinos typically are positioned at the front of each resort hotel. You must walk through the casino to go anywhere else. There are rarely windows. That's because the owners don't want you distracted. They want you concentrating on the games. The same is true of meals. A long, sit-down dinner service takes up time you could be spending in the casino. So the buffets of Las Vegas enable casino promoters to get you a quick, filling meal and get you back to the floor as quickly as possible. Many offer big discounts to their nearby buffets, and if you spend enough in the casinos, you might get a free buffet meal. As with anything else, you get what you pay for here. But not all of the high-end buffets leave diners with a favorable impression. Check out reviews for restaurants you might want a visit for a splurge. The emphasis on buffet dining does a disservice to the culinary scene in Las Vegas. There are some excellent restaurants, but not all of them will cater to budget travelers. Some fit into the splurge category, and some are designed only for high-rollers. You'll like the variety of restaurants. Because let's face it: some high-rollers will not be hustled in and out of a buffet line. They expect dining to be an experience all its own. It's tough to keep up with all the new places opening, the trendy attempts that failed, and the chefs who come into the area or change restaurants. Check the Las Vegas Review-Journal for more restaurant information. Outside of buffets and splurges, you might seek out a good fast-food meal. The best place to find reasonably priced food is to get out of the tourist areas and look for the places where native Nevadans spend their restaurant dollars. That might require a car rental or a bus pass. You'll need to determine how important saving money on dining is to your travel budget. 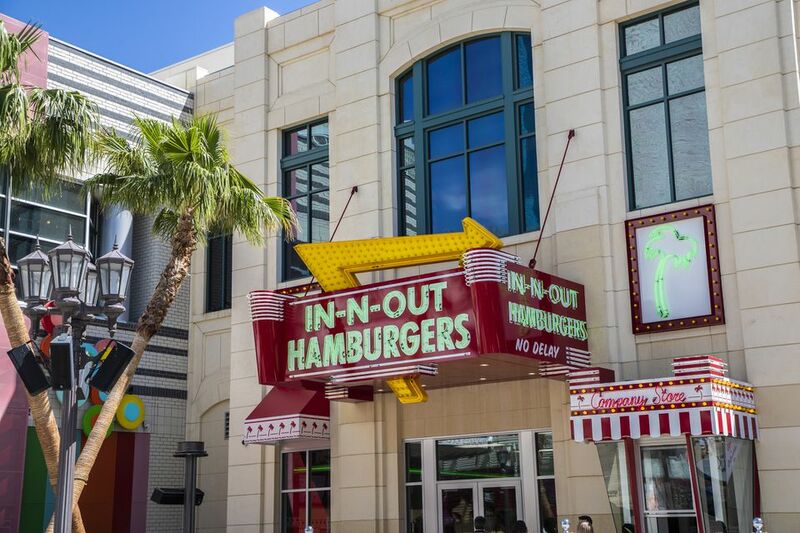 One of the best burger joints to be found anywhere is In-N-Out, a burger and fries chain with most of its restaurants in California, Arizona, and southern Nevada. The burgers are delicious, the fries are hot and the prices are quite reasonable. Downside: lines can be long, and at peak times these places are loud and chaotic.